Building the future for families and businesses throughout the Hawaiian Islands Hirota & Associates, LLLC is devoted exclusively to U.S. immigration and nationality matters. With more than 21 years of experience, Maile Hirota has the in-depth knowledge to handle even the most complex immigration issues. We can assist you or your business with any immigration issue, including: -Business immigration -Family-based immigration -Citizenship -Removal defense Constantly-changing immigration laws Constantly-changing immigration laws and policies create unreasonable roadblocks that can tear families apart and prevent good employees from working in the U.S. To successfully advise you, we consider both the laws as they exist and the possibility for beneficial - as well as harmful - reforms. We stay current on shifts in immigration law and remain ready to act upon potential changes in the pipeline. Strong advocates for immigration rights We view our work as a mission, not simply a job. We advocate for the administration of just immigration policy and the rights of individual immigrants. In her role as Hawaii Chapter Chair of the American Immigration Lawyers Association (AILA), Maile M. Hirota sought to influence policy that affects the immigrant community. Every year since 2008, Maile's peers have chosen her for the prestigious Best Lawyers in America publication in the field of immigration law. Hirota & Associates is ranked by US News & World Report in the First Tier of "Best Law Firms" in Hawaii in the field of Immigration Law for 2016. To best serve our clients, we offer legal services in English, Tagalog, Ilocano and Japanese. Guiding you through a complex immigration system The U.S. immigration system triggers anxiety and uncertainty, and even fear and heartbreak. Whether you are facing deportation and potential separation from your loved ones, starting a family through international marriage or adoption, hiring your perfect employment candidate from overseas, or fleeing persecution, we can help you. Ms. Hirota has more than 21 years of experience representing foreign nationals across the full spectrum of immigration cases, including: Business immigration -Employment-based green cards -Labor certifications -Nonimmigrant Investor visas -Temporary worker visas -National interest waivers -J-1 waivers Family immigration -Immediate relatives -Family preference categories -Fiance visas -Adjustment of status -Consular processing Citizenship -Naturalization -Automatic derivation of US citizenship through parents Removal proceedings -Immigration court -Advise regarding immigration consequences of criminal convictions -Waivers -Cancellation of removal -Asylum claims -Immigration bond -Appeals to the Board of Immigration Appeals & Ninth Circuit Business immigration You have been offered your dream job in the U.S. or you've found the perfect candidate for the job. Now the real work begins - applying for an employment visa. Choosing the correct visa can, at first, seem to involve a perplexing entanglement of complex rules and regulations. Each type of visa comes with its own set of essential criteria, which must precisely match your qualifications and the job's requirements. Hirota & Associates walks you through the process, from job offer to labor certification to consular processing and adjustment. We can help you obtain temporary or permanent work visas, including: -H-1B specialty occupation visa -L intra-company transferee -E-2 Investor visa/E-1 Treaty Trader visa -Professional workers immigrant visa -Skilled workers immigrant visa -J-1 waivers for medical doctors Family-based immigration Citizens and permanent residents are permitted to petition for their relatives to receive U.S. family visas. How quickly and easily you can obtain a visa for a family member depends upon your status and the relationship you have with the person immigrating to the U.S. The requirements for obtaining a family visa are complex and inflexible. In addition to filing the correct forms, you must provide precise evidence and specific information to the U.S. Citizenship and Immigration Services (USCIS). Mistakes can lead to delays or rejections of your application and the subsequent heartache of family separation. You can avoid potential problems by allowing the dedicated attorneys at Hirota & Associates, LLLC to help you through the process. Citizenship Citizenship bestows many important benefits, including the right to vote, to obtain a U.S. passport, to receive priority in your family-based immigration petitions, to confer citizenship on your children, and to qualify for health and social benefits. USCIS imposes specific requirements on permanent residents seeking to naturalize. Hirota & Associates stands by you through each step, including: -Analyzing your case -Addressing critical problems -Collecting vital evidence -Submitting your application -Preparing you for the naturalization test -Accompanying you to the USCIS interview Removal The prospect of being deported from the U.S. is devastating. You face permanent separation from loved ones, loss of your home and livelihood, and in some cases exposure to dangerous, life-threatening circumstances. We challenge the government's case and advocate for your right to remain in the country you consider your real home. 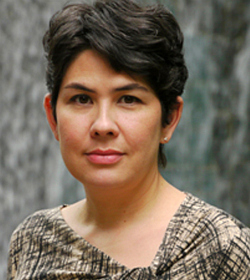 Recent success: Maile Hirota represented An Na Peng in her successful Presidential Pardon. President Barack Obama granted seventeen pardons on March 1, 2013, one of them to Honolulu resident and Hirota & Associates client, An Na Peng. Ms. Peng legally immigrated from China and sought the pardon as a last resort while she fought deportation for 17 years. If she had not won her case at the 9th Circuit Court of Appeals, the Presidential pardon would have been her only hope. The presidential pardon granted to An Na Peng is the first immigration-related pardon in more than a decade. Ms. Hirota has been selected by her peers to be included in The Best Lawyers in America for 2017 in the practice area of Immigration Law. Inclusion in Best Lawyers is based on a rigorous peer-review survey comprising confidential evaluations by top attorneys. Because no fee or purchase is required, being listed in Best Lawyers is considered a singular honor. Law School: Indiana University, Bloomington, J.D. Member: Hawaii State Bar Association; American Immigration Lawyers Association (Hawaii Chapter Chair, 2012 - 2014; Vice Chair, 2011-2012; Hawaii Chapter Congressional Liaison; Executive Office for Immigration Review, National Liaison Committee, 2007-2008; California Service Center Liaison Committee, 2005-2007; Immigration Reform Committee, 2005-2006; Hawaii Chapter Chair, 2003-2005; Vice Chair, 2001-2003; Secretary, 2000-2001); American Immigration Council (Legal Action Center Advisory Committee, 2007-2010); Hawaii Women Lawyers; Japan-America Society of Hawaii (Lifetime Member); Hawaii Pacific University Career Services Advisory Council (2006-2008). Biography: Selected by peers for inclusion in The Best Lawyers in America in the field of Immigration Law, since 2008. Director of charitable foundation, Dr. Arthur & Bonnie Ennis Foundation. Executive Editor, Indiana Journal of Global Legal Studies, 1993-1994. Ms. Hirota began her law practice in Ohio as an associate with Taft, Stettinius & Hollister, a large law firm in Cincinnati. After practicing immigration law in Ohio for two years, Ms. Hirota returned to her family in Hawaii and joined Lynch & Farmer in 1997. She was named a partner of Lynch Ichida Thompson Kim & Hirota in 2002 and left that firm to found Hirota & Associates in 2009. 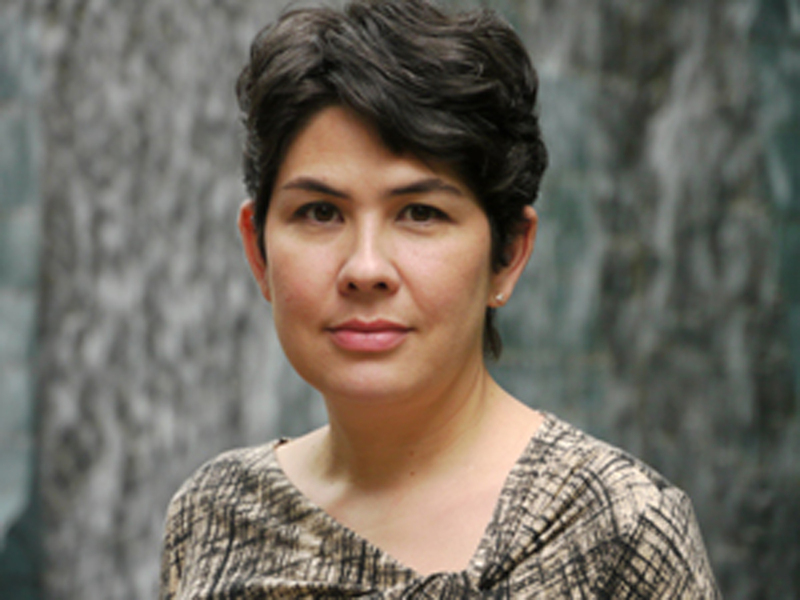 Ms. Hirota's practice concentrates solely in U.S. Immigration and Nationality law. Ms. Hirota is an active member of the American Immigration Lawyers Association, having served on the following committees: Hawaii Chapter Chair, 2012 - 2014; Vice Chair & Treasurer, 2011-2012; Hawaii Chapter Congressional Liaison; National EOIR Liaison Committee, 2007-2008; National Mentor, Honolulu District Office practice, 2003-present; USCIS California Service Center Liaison Committee, 2005-2007; National Immigration Reform Committee, 2005-2006; Hawaii Chapter Chair, 2003-2005; Hawaii Chapter Vice Chair, 2001-2003; Hawaii Chapter Secretary, 2000-2001. Ms. Hirota served the American Immigration Council (formerly American Immigration Law Foundation) on its Legal Action Center Advisory Committee from 2007-2010. She is a lifetime member of the Japan-America Society of Hawaii; a director of the charitable foundation, Dr. Arthur & Bonnie Ennis Foundation, 2004-present; Hawaii Pacific University, Career Services Advisory Council, 2006-2008; and is a member of Hawaii Women Lawyers. Ms. Hirota has been chosen by her peers as one of the "Best Lawyers in America" each year since 2008 in the field of Immigration Law. She is a frequent public speaker on immigration matters, and has spoken to such groups as Hawaii Public Radio, Hawaii Pacific University, JAG Corps, and the Rotary Club. She was called as expert witness on the Violence Against Women Act by the State Prosecutor's office. For over eight years, Ms. Hirota hosted a weekly call-in radio show on immigration and nationality issues on KPMW 105.5FM based on Maui. Ms. Hirota enjoys practicing yoga. She maintains a worm bin at home and enjoys spending time with her family, including two siamese cats, Fred & Ted. She is a sports fan, especially of UH basketball and the University of Michigan Wolverines. She enjoys a friendly rivalry in the office with Stella, who graduated from that other Michigan school.